Four in 10 homeowners have had items stolen from their garden – including bikes, plant pots, and garden gnomes. Researchers who polled 2,000 adults found those who’ve been victims of theft have had three belongings stolen on average. Other possessions to go missing from the nation’s front and backyards include garden tools, solar lights, and outdoor furniture – along with internet orders left outside by delivery people. 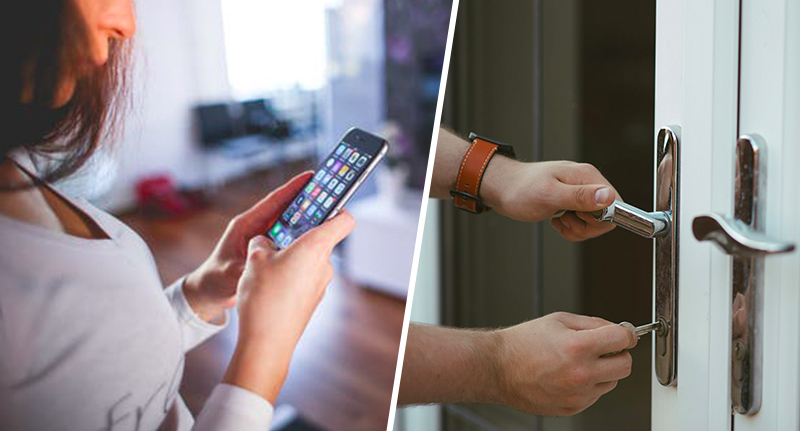 The research, commissioned by Centrica Hive, also found one in 10 don’t feel safe in their homes, and around six in 10 admit they worry about their property when they’re not there. The demonstration, which took place yesterday (Tuesday 15 January), called on homeowners to do more to protect their dwellings and their gnomes, and their little version of domestic Mother Nature. Our research reveals a significant number of people have experienced theft or damage to possessions outside their home, with everything from bicycles to garden tools to plants being targeted. Sadly, even the much beloved gnome is under threat. With the arrival of smart security, such as our Hive View Outdoor, homeowners can now get greater peace of mind in knowing they can easily protect their property and be quickly alerted if their home, or their gnome, is getting any unwanted attention. The research also found more than a third believe the risk of garden theft and damage has increased during the past decade and almost half feel it’s more important now to secure driveways and garden areas than ever before. They also complied a list of the top 10 items which have been stolen from UK gardens, from solar lights in at number 10, and even outdoor furniture in at number nine. Children’s toys are the eighth most-likely thing to be stolen, followed by hanging baskets and delivery packages. Fifth most often nabbed from gardens are the innocent gnomes – ‘and other garden ornaments’ – followed by plants and shrubs in at number four. Garden tools are next on the list, with plant pots, and lastly bicycles taking the top spot in the list of garden items most often stolen.